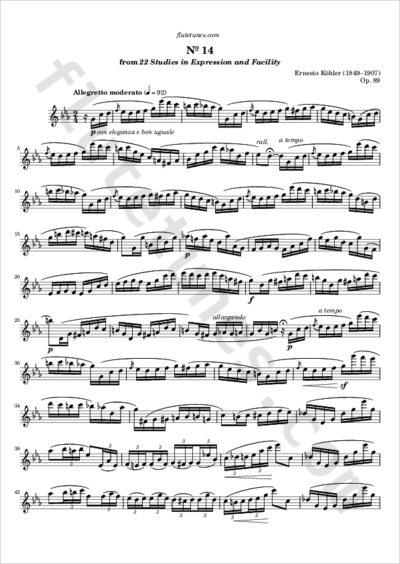 This Allegretto is the fourteenth piece from 22 Studies in Expression and Facility, Op. 89 by Italian flutist and composer Ernesto Köhler. This collection was originally published in 1904 with the German title 22 Vortrags- und Geläufigkeits Etuden für Flöte.